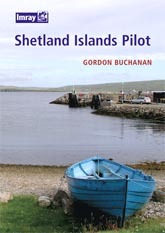 Gordon Buchanan knows the Shetland Islands from visits over many years and presents detailed pilotage information on reaching and cruising this delightful area. Well known to ancient Norse mariners, the Shetland Islands offer a fascinating cruising ground for today's less warlike sailors. There are numerous beautiful, if sometimes rugged anchorages, many harbours and several marinas all of which create a variety that ensures that one visit to these islands will not be the last. Natural scenery apart, one function of the ongoing drive to attract tourism is a strong appreciation of the benefits brought by visiting yachts, and this, coupled with the natural and very welcoming grace of the Shetland people, ensures a hugely warm welcome. Summer is the time to cruise these islands, and one added benefit of their Northern location is the almost constant daylight, making both sightseeing and pilotage much more enjoyable. Summer is also the time when many of the island's towns and villages hold their annual festivals, often including yacht races and much waterborne hilarity. That is not to say that a visit in winter should be avoided; the annual festival of Up Helly Aa at the end of January is an experience not to be missed. The riotous enthusiasm with which the ever-friendly Shetland Islanders share their annual celebration of Shetland history is likely to draw summer visitors back time and time again. Produsert av to lag med strikket akryl. En størrelse passer alle (voksne).